Talk about breathtaking milestones! March 2017 marks 40 years since I started Energize, Inc. (at the astonishing age of 6!). How can that be? The past four decades have been a whirlwind professionally (personally, too, but that’s for private discussion!) – often exciting, sometimes frustrating, usually fun, and always filled with admiration at the amazing things volunteers accomplish everywhere under the guidance of great leaders. When we turned 20 in March 1997, this Web site had not even launched! That happened a month later, in April 1997, and it’s hard to overplay the incredible effect offering this Web site for the last 20 years has had on our ability to connect with colleagues around the world. But half of our history took place pre-Web. That’s amazing to ponder, too. 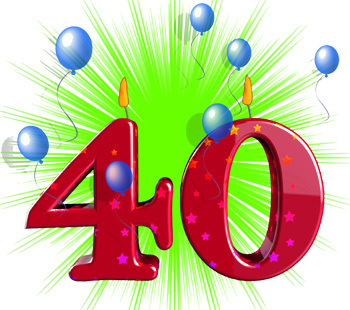 So what are my reflections at turning 40? Some things are wonderful and deserve to be celebrated. But we continue to fight many of the same battles over and over, which is tiring and draining of our time and energy. If you read the old Hot Topics linked above, you’ll see the worst problem: pervasive ignorance and absence of vision about the importance of volunteers – continuing to see them as simply a “free” labor force, rather than as mobilized citizens giving time to causes in which they believe. This lack of knowledge (and respect) results in lack of attention to and support for volunteers, which naturally then extends to not valuing those who lead volunteer efforts. I honestly do not know if we will ever turn the tide here. I’ve been trying since I started in the field and will continue to do so – but I’m battle scarred. That the subject of working with volunteers is still not taught in the professional education of those who will definitely be expected to team with volunteers in their daily work: social workers, nurses, teachers, clergy, those earning advanced degrees in nonprofit management and public administration. So we continue to meet highly educated people who don’t even know what they don’t know about volunteers. The subject of volunteers never appears in any forum designed for top executives. From the journals they read to the conferences they attend, decision-makers in nonprofits and in government agencies talk about many, many things, but never volunteer engagement. That is seen as a low-level subject, disconnected to the top-level strategizing of executives. How short-sighted. Academics continue to design research out of personal curiosity and to curry their own career advancement by writing mainly for their peers and totally ignore any practitioner-developed writing or collaboration. This means too many studies answer questions no one has asked and, if something useful is learned, it is blocked from those who might apply the findings. Unfortunately, in my opinion, we are at a nadir in the evolution of professional societies for leaders of volunteers. I am hard pressed to identify a single outstanding national association (though a number of them are trying to reinvigorate), even in countries where there once was a central place for practitioners to find one another. Similarly, national “peak” bodies are struggling to solidify their mission and funding base – and only a few offer services or support to those whose focus is volunteer management. The lack of joining together nationally is mirrored in the struggle of local associations/networks of volunteer managers to sustain their membership. This should concern us all. There are fewer and fewer on-site conferences in our field. Some of this is due to costs and the happy availability of online training opportunities. But again, what happens if we never give ourselves the chance to sit and talk – to meet one another and broaden our vision? All of the above has one more negative side-effect: lack of institutional memory. Newcomers to volunteer management must fend for themselves to find basic information and are rarely guided to the best, most-respected sources. Almost every journal focused on volunteer management is now dead or near to it. That’s one reason I am exceptionally proud of our journal, e-Volunteerism, now in its 17th volume year (also unbelievable!). But while we have devoted readers around the world, we should have many more. Professionals need to stay sharp and current. What happens if we don’t? On one hand, the amount of high-quality information about successful volunteer management information available online at no cost today is staggering. So why, when I ask groups “have you ever Googled volunteer management to see what turns up?” less than 15% raise their hands even today? The socio-political context of our work is suddenly in freefall, as conservative factions take power around the world and attempt to dismantle or redirect social and humanitarian programs, defund the arts, and take action directly affecting the causes many volunteers hold dear. Just don’t forget that these politicians were elected with the help of other volunteers, who are happy about the changes! Dry your eyes! There are some great things happening, too. At school I learned that civil society is democracy's great counter weight against injustice, inequality and indifference...at VolunteerMatch I've learned how true this is. Last week was the busiest week in our history. We've had over 500,000 visitors since last Monday looking for their opportunity to support the causes they care about most. Which also brings to mind how many online resources that serve the volunteer community have grown and matured – VolunteerMatch being a great example. In fact, top of my list of happy developments is the quantity and quality of bloggers now regularly expressing their opinions and sharing all sorts of volunteer management news-you-can-use. I’m continually adding to the list in our A-Z Library. It gives me great hope to see writers finding avenues to publish even if there are so few journals any more. We’ve continued to watch the evolution of virtual volunteering and it will continue to grow and grow. Check out the Virtual Volunteering Wiki through which Jayne Cravens and I try to share creative new examples of online service. What new forms of service are coming tomorrow? And I absolutely LOVE Skype as a way to provide live, interactive presentations anywhere in the world, with less effort and cost. Just in the last year, I’ve spoken to groups in Baghdad, Singapore, Brisbane, Budapest, and 5 American cities, coast-to-coast. Last weekend, I sent a video to an event in Beijing, China! We are truly connected everywhere. Over the years I’ve been so lucky to make great friends in this field. Many of those people, smarter than me, have been retiring and I already miss not having continuous professional collaboration with people like Betty Stallings, Sarah Jane Rehnborg, Steve McCurley, and more. In fact, you have one more chance to see some of us in a cluster at the same place, at this July’s National Summit on Volunteer Engagement Leadership in St. Paul, MN. Do join us! Thank you to my incredible staff and associates at Energize for decades of hard work. Thank you to our always-fascinating clients, readers, and audience members. Thank you to all the volunteers who persist – sometimes even without quality leadership, but always with dedication. Tomorrow is another day…. and on your own experiences in the volunteer field. Congratulations on this wonderful occasion! Thank you for the years of inspiration, courage, and knowledge that you provided to me. Here's to many more! I am one who remembers when CyberVPM was the only online tool for managers of volunteer programs, until your website opened up. What a resource. You have been a model and mentor for me for more than 40 years :) and I loved reading Betty's interview in E-Volunteerism, to read her reflections on how the vol mgmt field has changed. Your reflections are helpful for me, who is mostly out of the field, except as a volunteer these days. It's sad to see the lack of leadership and connection we had for so many years but I have faith that the people coming up will remedy that. I will be thinking of you together in July- I have two other professional events to attend in July and my budget just couldn't stretch that far. All the best from me to you - congratulations on impactful 40 years. 'Thank You' just doesn't seem adequate for what you have contributed to the field Susan. Congratulations! Happy 40th Energize! What a remarkable achievement. Congratulations Susan and thank you. This year is my 20th in the sector and I feel I have grown up with Energize. I must have read every Hot Topic and have responded to many. Every month it’s my go to read! I very much echo your sentiments on the state of the sector. Here in Australia it seems to be fragmented and adrift in a sea of ambiguity. Our National Association struggles for relevance and there is no national dialogue on Volunteer Management. On the plus side the state peak bodies are holding conferences where volunteer management is the central theme. The bloggers are writing interesting and relevant material. Volunteer Management Networks take place around the country. However, they lack a connection. Part time roles continue to be advertised for what should be full time positions. Titles such as coordinators or engagement officers continue to be used instead of manager for financial reasons. The value organisations place on volunteers is directional proportional to that given to those that lead volunteers. Often, those in executive or more senior positions simply don’t “get” volunteerism. To many it’s a “nice” add on. Many of these people are highly qualified and dripping with degrees but have never learnt about volunteering. From this ignorance many decisions affecting volunteers are made. People still are having the additional task of volunteer management added to their core roles. Mary from Finance or John in administration is still tasked with “looking after the Vollies” in many organisations. I’ve seen many talented people leave the field over the years. Yet many don’t see the grass and have yet to realise they are in a field. Those who have stayed have mostly done so because of their sheer passion for volunteerism. We are inspired daily by the people who bring light to an often dark world. The sector will be sustained by those of us who rise each morning with the compelling passion to make a difference to our society. We will get knocked around a bit at times but its one hell of a ride! I find all the information helpful and educating. Thank you for your vision and leadership. I appreciated the information and collaboration I received from Energize over my 25 year career in volunteer management. You have remained steadfast in promoting the profession and the incredible value of well trained volunteers. Kudos to your 40 years of excellence. Well Susan, after all these years as I read your page yes, vol managers are still fighting some of the old battles. When I began in 1974 we complained about being on the low end of everyones budget and minds. We worked hard to be recognized as professionals and sadly I read we still are working on this. In the 1990's ADSVS began to certify vol directors and we hoped that would allow us to be welcomed into the hospital and community as a person who had some knowledge of how to direct volunteers. I retired from the field in 2003 and have recently returned as a volunteer. The hospital where I volunteer is receptive and anxious for us to serve. So even tho we are still fighting some old battles, the need and the welcoming from staff continues. Keep up your good works, my friend, and thank you for all you have GIVEN and DONE for the betterment of volunteer managers and their programs. 40 - WOW! I clicked on the link to your 2002 anniversary year and realized my reply still holds up. “Congratulations! I met you following my career change in 1993. Your energy, enthusiasm, wit and the tools you had developed (I hate re-inventing the wheel) made a positive impression on me during the workshops I attended-- as did your books.” and “It is the support of colleagues (as well as the debates) that have been a very significant component of my experience as a volunteer administrator. I second your motion, ‘Here's to the future’." Fast forward to 2017. Over the years I’ve been involved with two local professional associations (one with sort of state ties) and share your concern regarding, “… the struggle of local associations/networks of volunteer managers to sustain their membership.” This ties into your concern regarding, “…lack of institutional memory. Newcomers to volunteer management must fend for themselves to find basic information and are rarely guided to the best, most-respected sources.” One thing that I’ve observed since 1993 is that folk move in and out of the career for various reasons and this impacts our professional associations grooming of new leaders and sharing lessons learned. With regard to, “And I absolutely LOVE Skype as a way to provide live, interactive presentations anywhere in the world, with less effort and cost.” I too see Skype as a potential solution; but have been disappointed with some professional associations resistance/inability to access the technology. However, like you I see positive potential with a new generation of volunteer resource managers because of their passion, level of education, and the technology they will be able to incorporate! I read your Hot Topic over again this evening, including the two linked ones from 5 and 10 years ago. I hear the despair in your words at having made little progress into advancing volunteer leadership professionally. Currently, I am at the end of an annual conference and part of me is excited and renewed, but the other part of me says that regardless of what I try to improve when I return, it will be rejected. Twenty-two years I've been doing it and I'm (in your words) battle scarred. Then today at lunch I sat with a speaker who voiced something similar. And she spoke of many of her friends in the training circuit retiring with no one taking their place. She even said, "Perhaps it isn't a profession?" Yet, you continue to come up with new and out-of-the box ideas and motivations. You are inspirational for all of us who do this work. How do you keep up this energy, commitment, and hope? Thank you for this Hot Topic every month and for maintaining this huge website. Thank you for being there for all of us! Thank you, Patty, for everything you said. And the same goes to the rest of you who have sent such lovely good wishes to me here, on Facebook, in LinkedIn, and privately. It means so very much to hear your support! Yes, the general tone of this essay was a bit despairing, but I always strive to be honest. For as long as I've been in the field, people have questioned, "are we really a profession?" The jury is still out on that, since many of the indicators are indeed missing (educational requirements, collective action, etc.). But I am totally convinced that we are specialists. We possess skills and knowledge necessary to working effectively with volunteers, regardless of setting or type. Skills that others do not have and never learn. Skills that make a real difference both to the organizations we serve and to the volunteers we lead. My continuing commitment and enthusiasm (name your company "Energize" and you're doomed to live up to the name!) comes from an unwavering belief in the power of volunteering and the certainty that a great leader of volunteers can extend that power in limitless ways. Plus, I like my colleagues! I fully agree with your comments having led a volunteer-based tutor/mentor program in Chicago from 1975-2011 and having led the Tutor/Mentor Connection since 1993. My efforts have focused on helping strong, volunteer-based tutor, mentor and learning programs grow in high poverty areas of Chicago and other cities, by influencing what resource providers do, along with what program leaders, volunteers and students do. To support that goal I've created an extensive web library, with links to more than 2000 organizations and businesses, including to Energize. In the late 1990s I was optimistic at how the Internet would enable people from anywhere to find ideas and resources to help youth organizations grow in many places. However, 20 years later, we've not made nearly enough progress, partially because of the things you mentioned, and partially because people in our sector are not motivated to go online for information, and for building networks of people and organizations. I've found a growing number of school based educators on social media, in MOOCs. and in on-line idea sharing communities, but very few volunteers, board members leaders and donors who are involved in youth development and program service delivery. The problems we faced in the 1990s when you started Energize are still with us, so don't give up. Hopefully others will join us in the future.